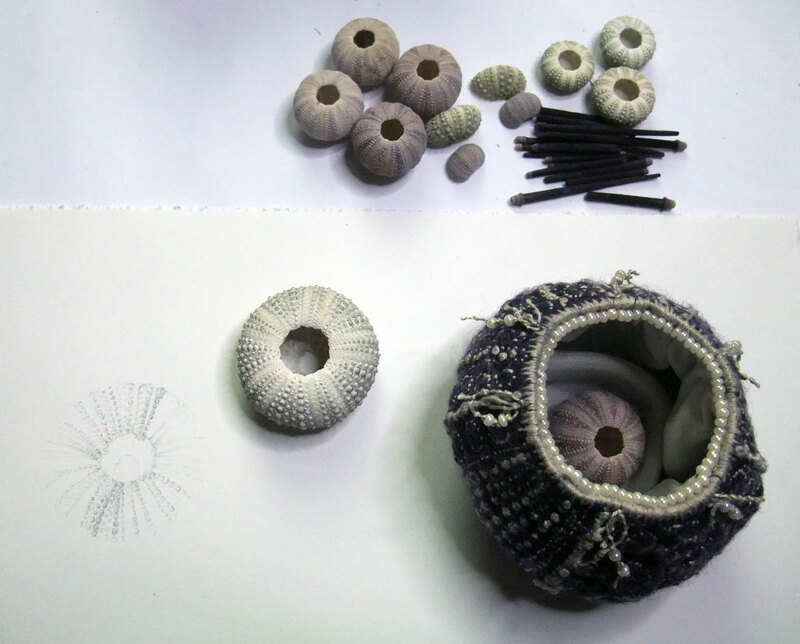 stitching is like braille for the soul but to understand the form I should have started drawing the sea urchin first! there is much more to explore in this form! No, I like it this way.in fact, I love it as is. 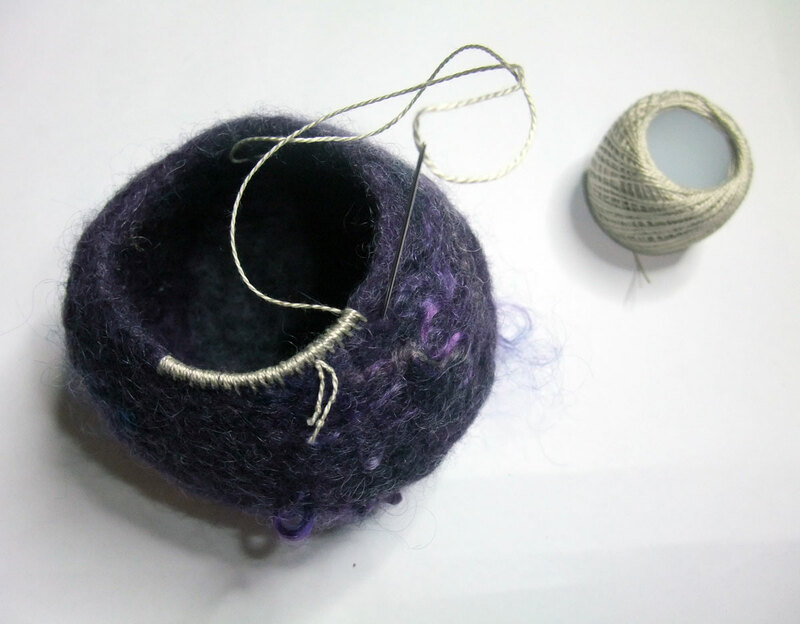 I could “see” you, stitching your way around and down, turning the bowl, angling your needle…it is so Mo. thanks for the query Di, this one’s a xmas gift for a friend in need of soul comforting but the next one will work even better now that I understand the form, will give you first dibs on it. so devine Mo! .. your work echoes the delicate detail of these beauties. you didn’t need to study the form, you just invented a new one. 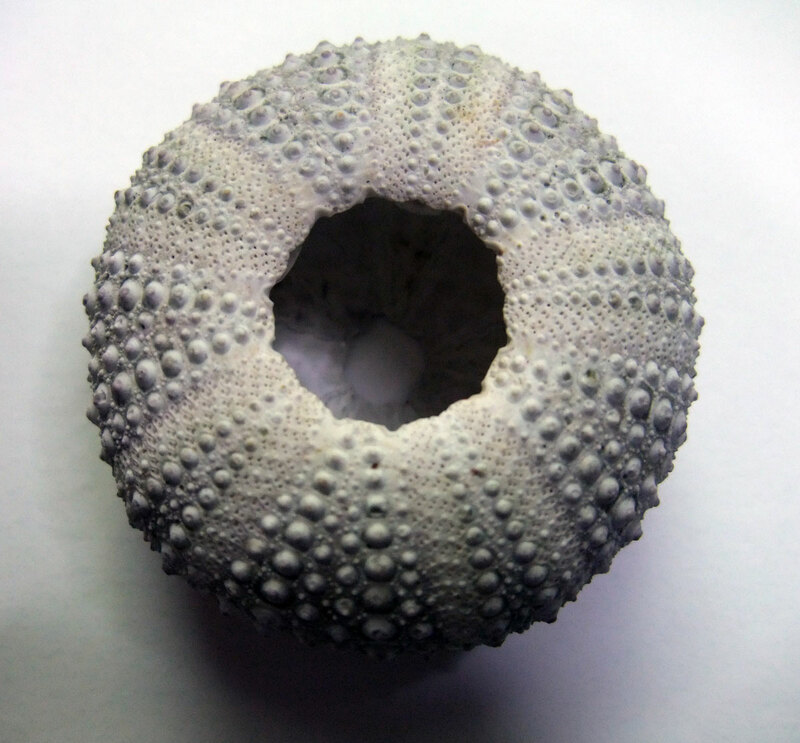 Love this, Mo- your sea urchin is so beautiful! Such beautiful thinking with your hands Mo – I love the way it evolves in your fingertips…what a delight! drawing is how I understand the world, developing an idea can take 100’s of sketches, rarely just one, depending on the complexity of the form and the clarity of the dream. With this piece I tried to respond directly to the haptic sensibility. I saw this post when it first hit the airwaves and was so taken by it that I had to step away. I’m still struggling to find words that adequately express how much I appreciate your process and the magic that comes from your hands. And if drawing and studying form are wonderful means to an end, so too is the going-ness of this piece. The stitching makes it (and us) stronger, more what (or who) it is . . . I like that idea. (((Wendy))) about halfway through I was very close to giving it a decent burial but decided to just keep going & see where it would go first then fell in love with it! This pod is precious! Like forming something beautiful from a lump of clay. You are so creative. Thanks for sharing. It’s quite beautiful and luminous which is a word that often comes to mind when I see your work. (((hazel))) it is a lively little thing and there is lots more to explore! 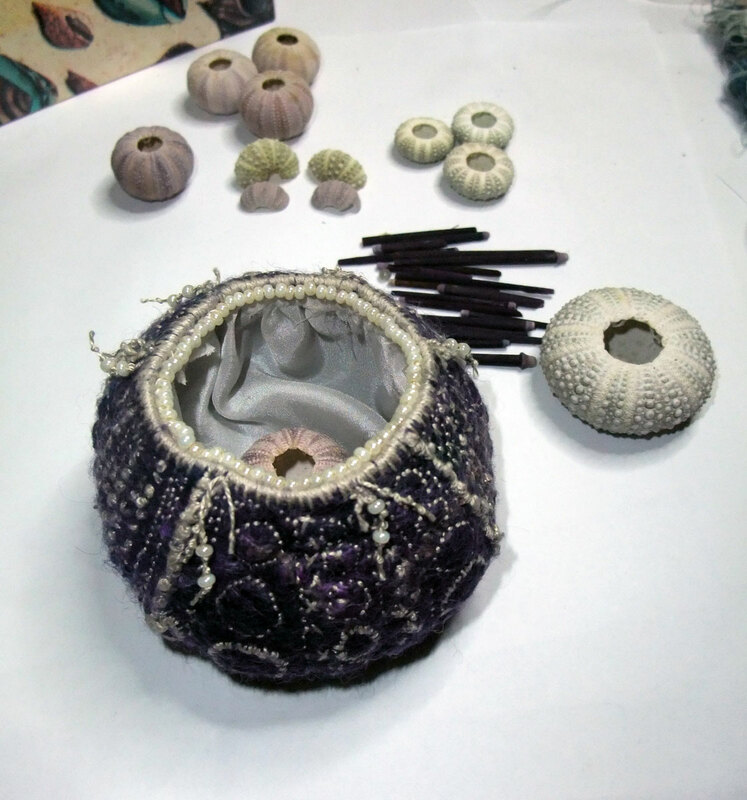 The soul only needs beauty………………..
the pictures of the felted urchin actually made me gasp it is so exquisite. I can’t imagine how it, as a gift, could offer anything less than a full-bodied comfort. a palm-sized treasure. Will you tell her about Jimmy Hendrix? That adds to its potency, somehow. 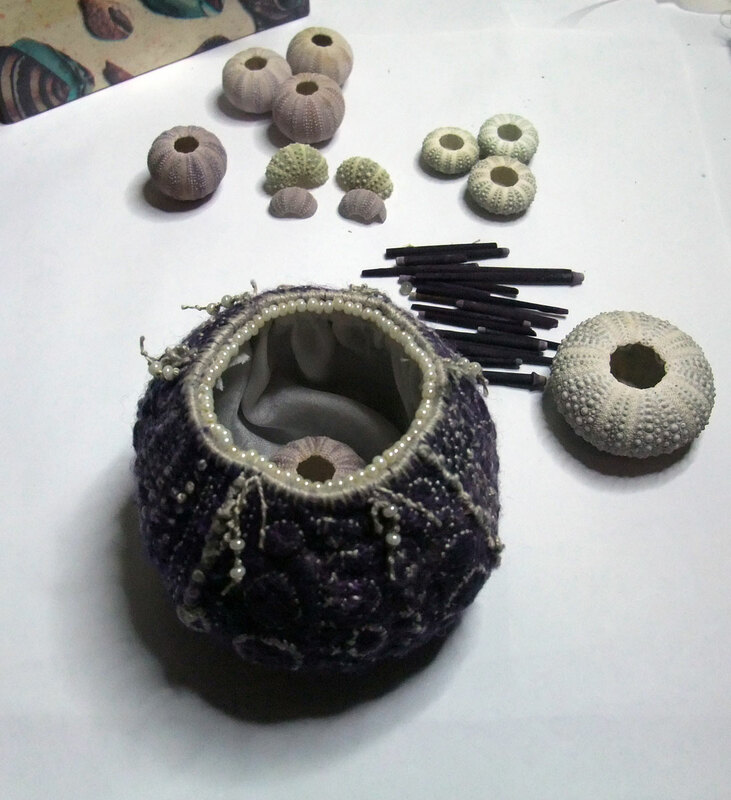 Jimi Hendrix and sea urchins? why am I pulling a blank? 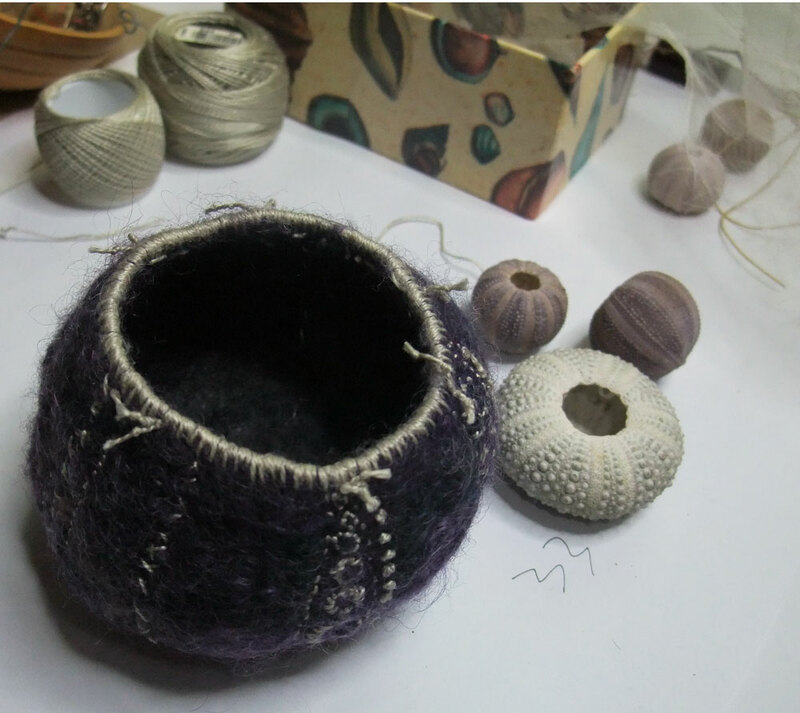 I very much like the notion of stitching being like braille for the soul. makes complete sense. I may very well be quoting you, if it’s alright? as it’s the working title for my next body of work, feel free to quote me & link back to the work on my blog but please don’t appropriate it as your own OK? 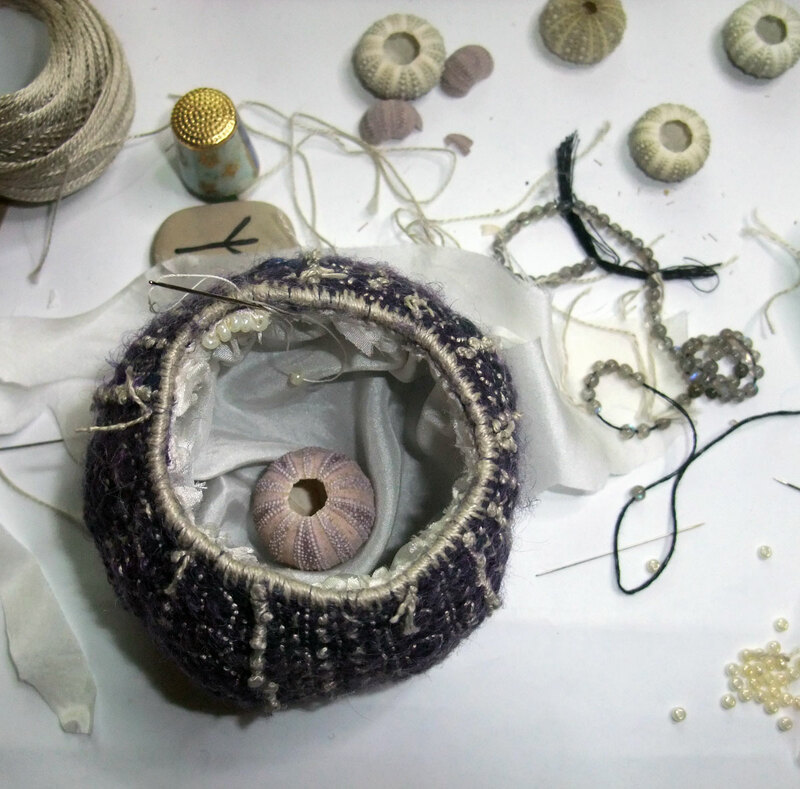 Marvelous stuff–the felt, the stitches, the thoughts, the words.